Support - we mean it! Contact us directly and get help and answers fast. This page provides answers to the most frequently asked support questions. Users who have purchased a license can download their product and updates covered by their license at any time in the customer portal. Log in using your email address and the license key you have received from our distributor Share-It. License Code Lost? Email Address Changed? The customer portal allows you to retrieve your license code for your registered email address. Just click on the Forgotten license code button right on the front page. If you have lost your license code and you have changed your email address, contact us via the support email provided below. Send us your full name, postal address and email address used to purchase IMatch. If available, include your unique Share-It order number to speed up processing. This allows us to lookup your customer record in our database and to resend your credentials. 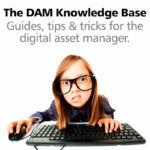 The knowledge base contains know-how articles about IMatch and general DAM topics. The FAQ section in the photools.community contains answers to frequently asked questions, tutorials, tips & tricks. The IMatch Anywhere FAQ contains answers to frequently asked questions about IMatch Anywhere, IMatch WebServices and IMatch WebViewer. Visit the IMatch Anywhere Learning Center for free videos and tutorials. The photools.community is the main support forum for IMatch. It is also a great place to get general DAM and image processing information, to ask questions and to discuss IMatch-related topics with thousands of friendly and helpful users from all over the world. If you want to contact the IMatch developer, feel free to contact me via the email address given below. I usually answer requests within 24 hours. I monitor the photools.community daily and answer questions there. Please either post your question in the community or send me an email. Don't use both ways to contact me about the same issue. This makes it easier to keep track. Thank you. We distribute and sell IMatch via our e-Commerce partner share*it!. Please see their customer care center for answers to frequently asked questions, email addresses and phone numbers for your country.